During the past four decades Bud has created a number of well known cycling events and has developed new routes that have become recognized as Canadian classics. including the Toronto Bicycle Network's Pelee Wheelie, first held in 1986, and, the TBN's signature event Cyclon, first held in 1987. Bud is a Director of C-KAP and a Randonneur Cyclist. 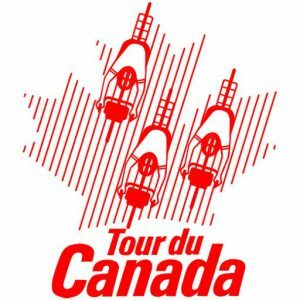 In 1987 Bud founded Tour du Canada, an annual cross Canada bicycle ride with an international reputation. Bud is co-owner operator of Cycle Canada, The Veloforce Corporation. Cycle Canada provides administrative support to Tour du Canada.